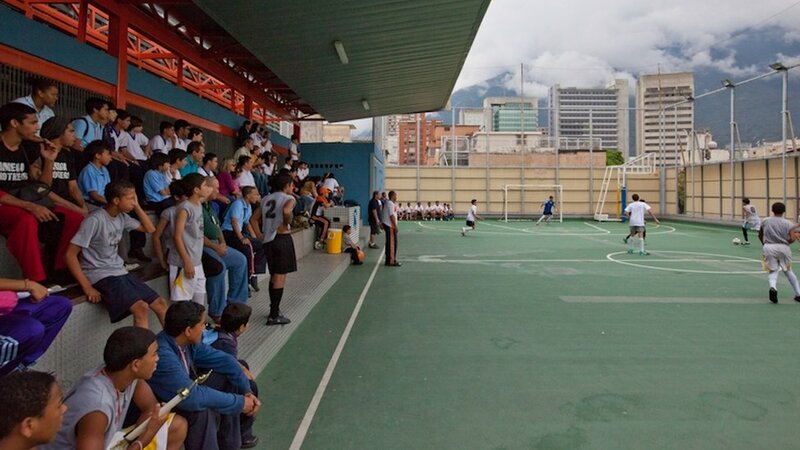 Space is at a premium in the slums of Caracas and sports facilities are few and far between. 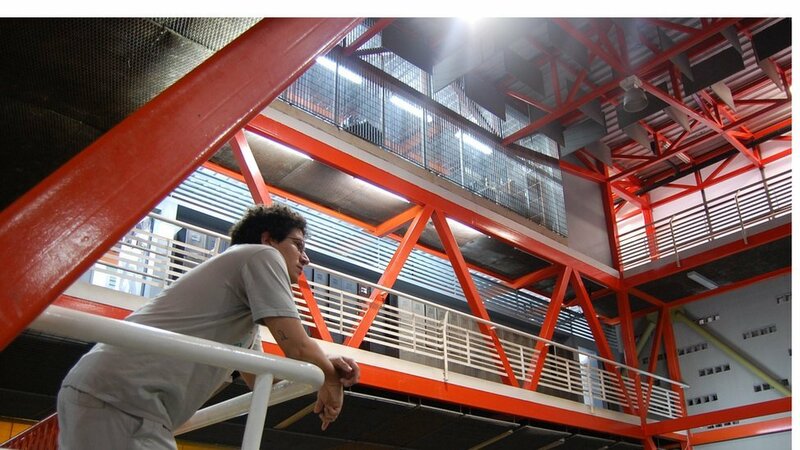 So architects at the Urban Think Tank decided to save space by building vertical gyms that rise above the surrounding buildings. 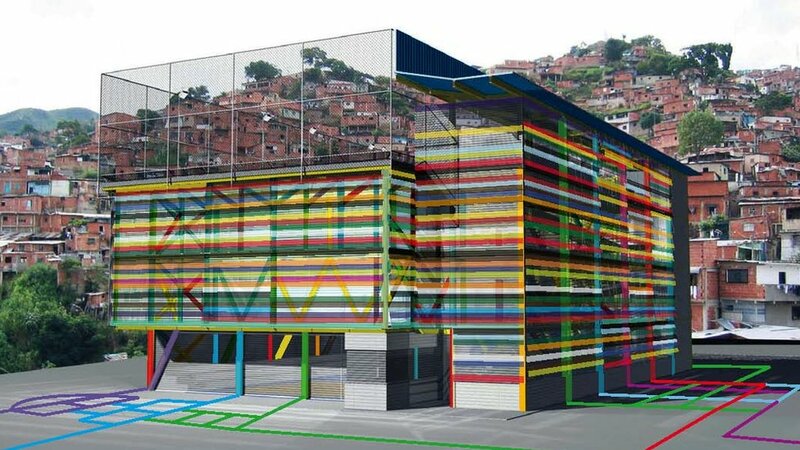 This one is planned for Los Teques, on the southern edge of Caracas. 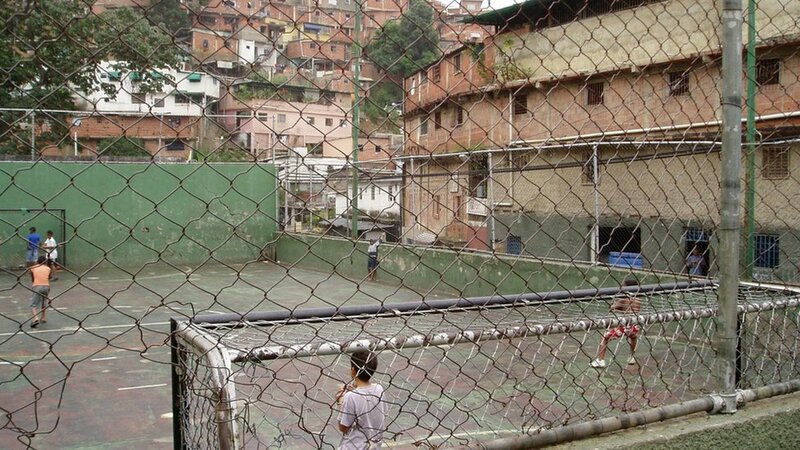 The first vertical gym was built in Caracas's Barrio La Cruz slum in 2003. It has four levels, devoted to different activities. 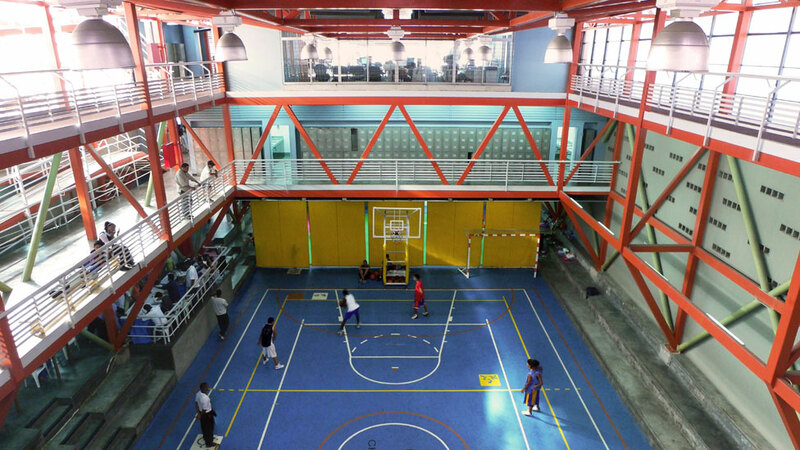 The first level has a multi-purpose court for football, basketball and volleyball. The second level has a weight lifting area and cafe. 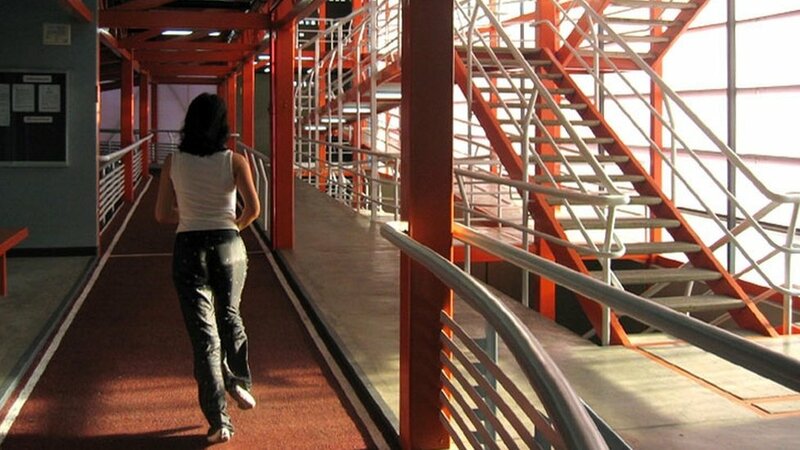 A running track goes around the perimeter of level three. Football is also played on the roof... The gym uses all available space. This is what the site looked like before the gym was built. The slum's 120,000 residents had long demanded better facilities, but there was nowhere to put them. Crime in Barrio La Cruz is said to have dropped by 30% after the gym opened. There was also a drop in drug consumption and obesity. Crime is a huge problem in Caracas - Venezuela's murder rate is the highest in South America. 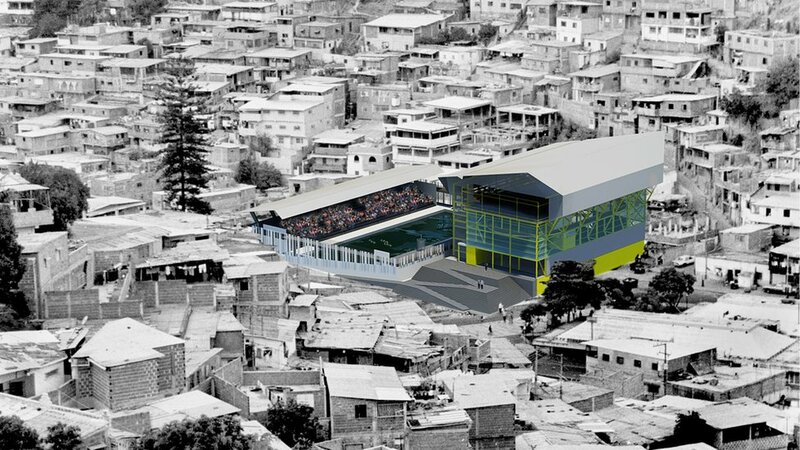 Project architect Rafael Machado says: "The community was involved from the start by selecting the sports and how it was going to be designed." 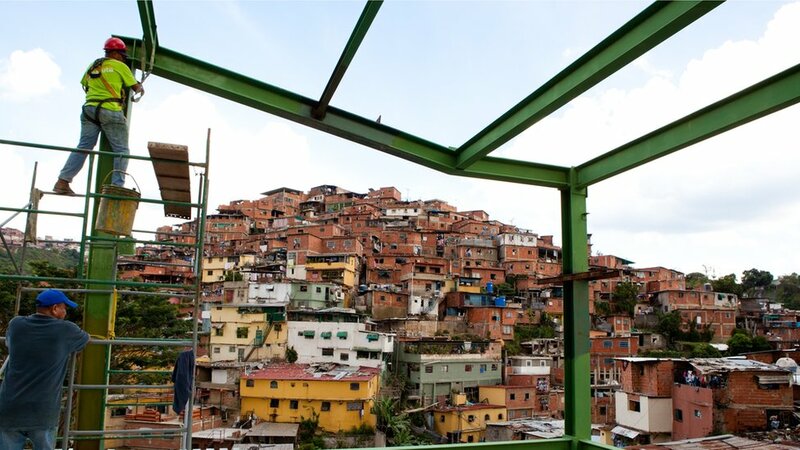 Builders are already at work on a vertical gym for another area of Caracas, Barrio Baruta.